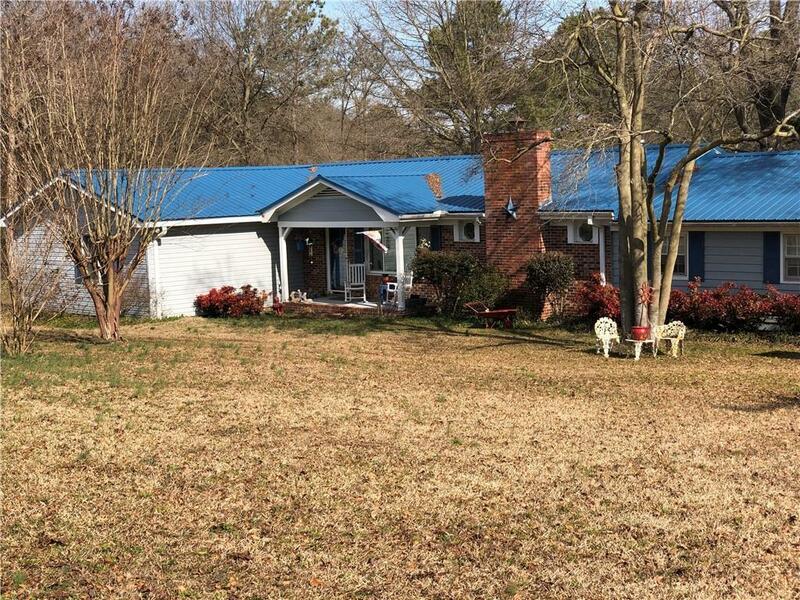 CHARMING BRICK RANCH situated on just over 2 ACRES of level land. Any of the four outbuildings on the property would make an excellent workshop or craft area. 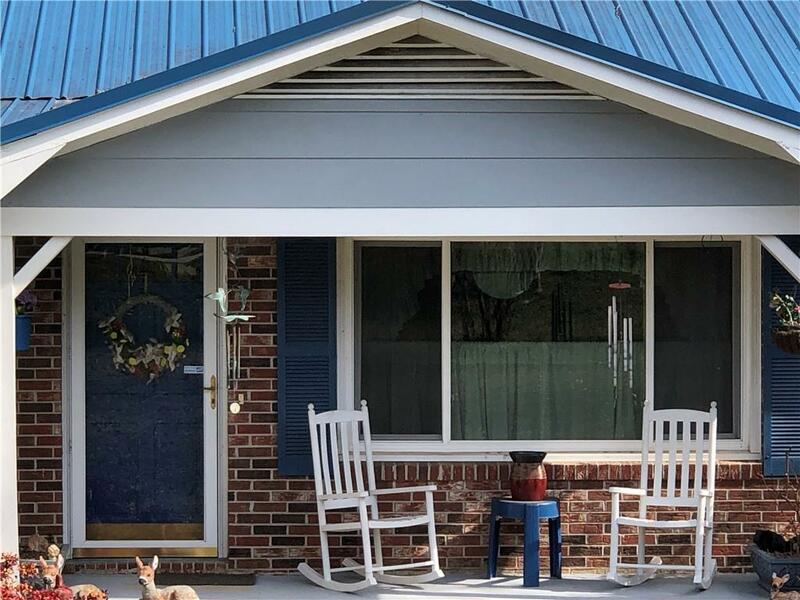 The rocking-chair front porch welcomes you home and makes the perfect spot to enjoy a morning cup of coffee. Enter to find a spacious formal living room open to the casual den and dining area. Hardwoods flow from the living room into the hallway where there are two guest bedroom suites, a full guest bathroom, and a large master bedroom en-suite with attached office/study/exercise room. The master suite features large windows for natural lighting, spacious walk-in closet, and full bathroom with his and her sinks. The kitchen is at the heart of the home with generous counter space and gas stove cooking for the chef. Off the kitchen is the laundry/mudroom with access to the covered back porch. 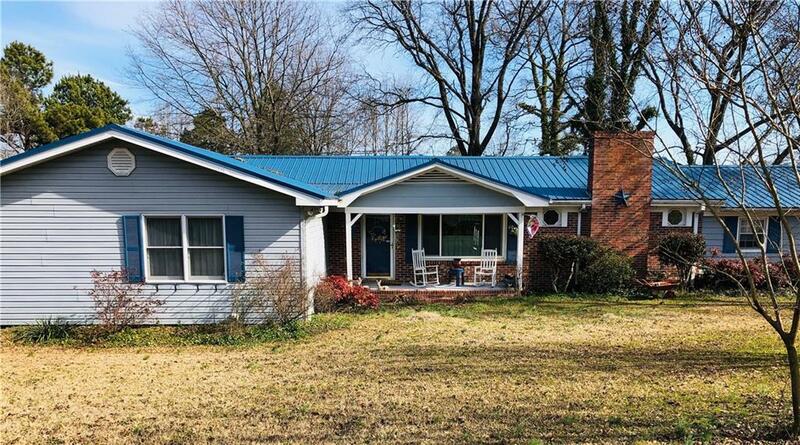 Large hardwood porch makes a wonderful entertaining area with steps leading down to the fenced in back yard. Also off the kitchen is the den with cozy fireplace and gas logs (warm enough to heat the whole home!). 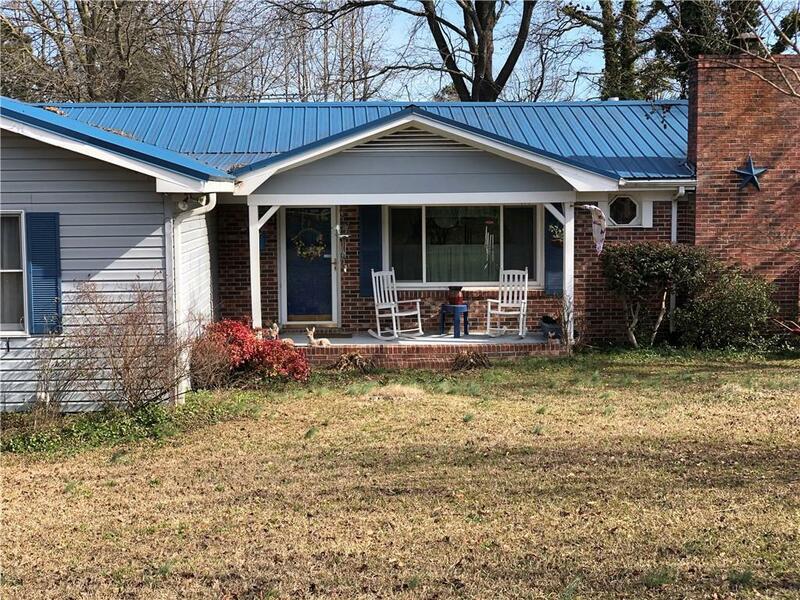 Located within minutes from the delightful town of Hartwell, GA, this charming ranch makes the perfect place to call home.